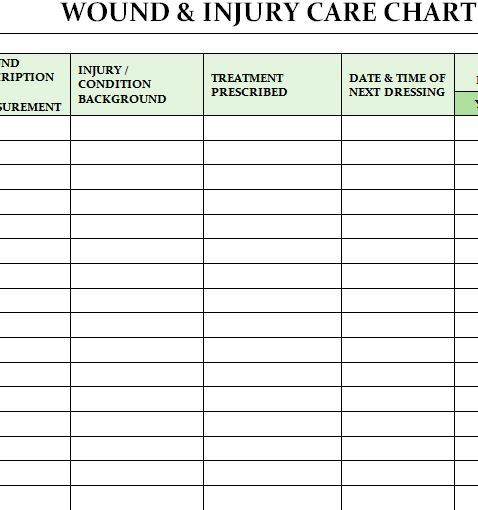 The free Wound or Injury Care Chart is the best way to access the severity of your wound or injury. 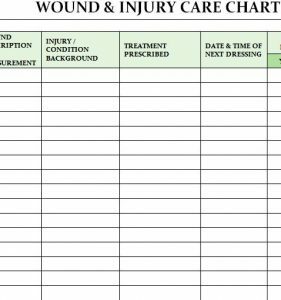 This simple and free document gives you the power to enter the information relevant to a wound and then organize that data so it’s useful for interpreting the diagnosis and the proper treatment for your doctor. 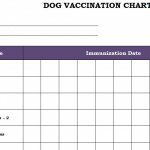 You will simply fill out the information given in this template and provide any feedback that may serve to help come up with a diagnosis. 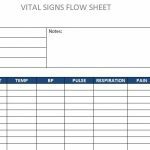 This template serves as a great tool for doctors and a nice preemptive way for patients to help their doctor’s beforehand. Follow the link we have provided for you at the bottom of the page to get started right away. Once you have the free template at your side, take a look at the items given. You will begin by entering the date and time of the injury. Next, enter the location, description, and background of the wound in question. If you’re a doctor, you can take this information to come up with a treatment and list that in the proceeding column of the template. You can also list follow-up information for the injury in the next few columns, If there is a particular odor, increased damage, or if healing has begun, the template provides you with a few nifty spaces to enter a yes or no as well. When you finish entering the information you need for your patient or your doctor, print the document by selecting “File” the “Print” from the drop-down menu that proceeds. 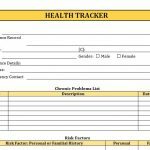 You can easily see how this template will serve anyone in helping doctors diagnose an injury and plan around the information in a way that helps the patient heal as quickly as possible.